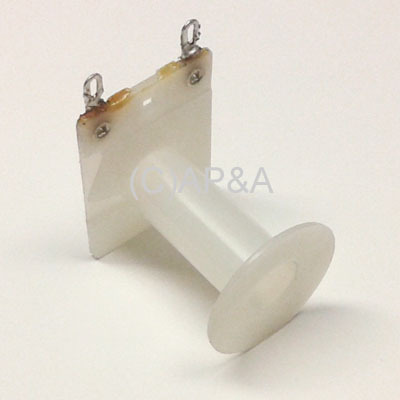 Bare nylon/plastic coil bobbin used for many different types of coils. Measures approx. 1-1/2 inches long. NOTE: This is the plastic bobbin only- no winding wire or coil sleeve are included. If you are looking for a replacement coil (solenoid) for your Bally machine, this part number will not help you- you must look up the coil by the part number that is printed on the paper coil wrapper that goes around the coil (ie: AN-26-1200 or similar). Or refer to your game manual or wiring diagram/schematics for correct part number, or e-mail us if you need help.